The Bodyguard Musical at the Adelphi Theatre is due to close on 30th August with Made in Dagenham starring Gemma Arterton due to start previews there on October 9th. Beverley Knight is currently playing Rachel Marron with Alexandra Burke due to take over the role on 2nd June. Miss Knight is then playing the lead in Memphis the Musical which starts previews in October at the Shaftesbury. The musical is due to go on tour next year opening at the Mayflower Theatre in Southampton on February 12th and running until the 28th.The only other date I have so far is Newcastle Theatre Royal from April 1st to 18th. 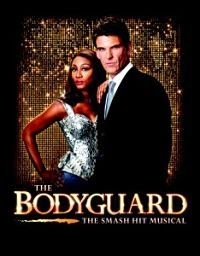 Tickets for The Bodyguard Tour at Southampton go on sale on Tuesday May 6th.